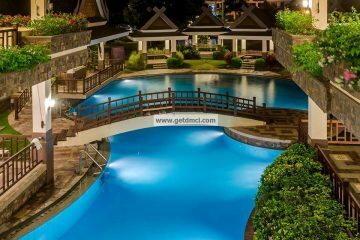 Going home to a resort-themed community nestled amidst nature and nearby cozy neighborhood is nowadays the ideal lifestyle for young professionals and start-up families who are exposed to the hustle and bustle of the city. 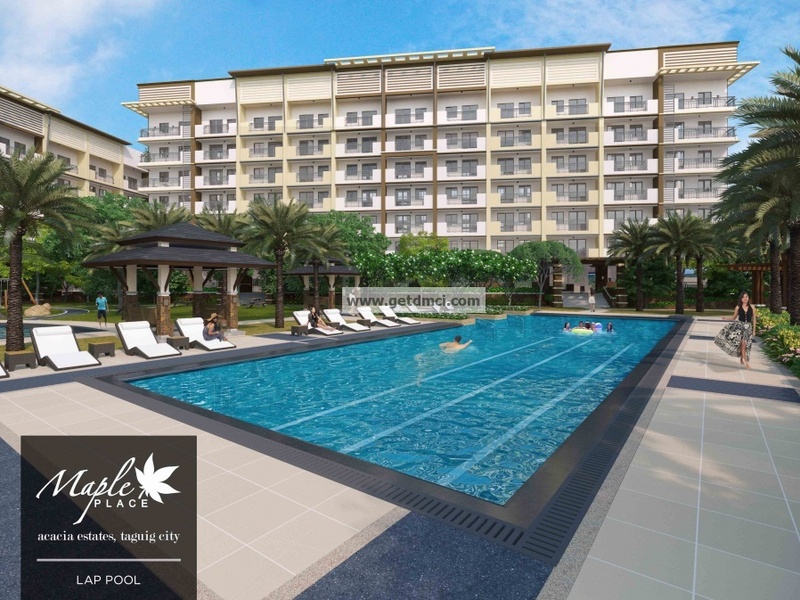 This is exactly the vision for DMCI Home’s Maple Place, the newest preselling residential midrise development located within the Acacia Estates in Taguig City. 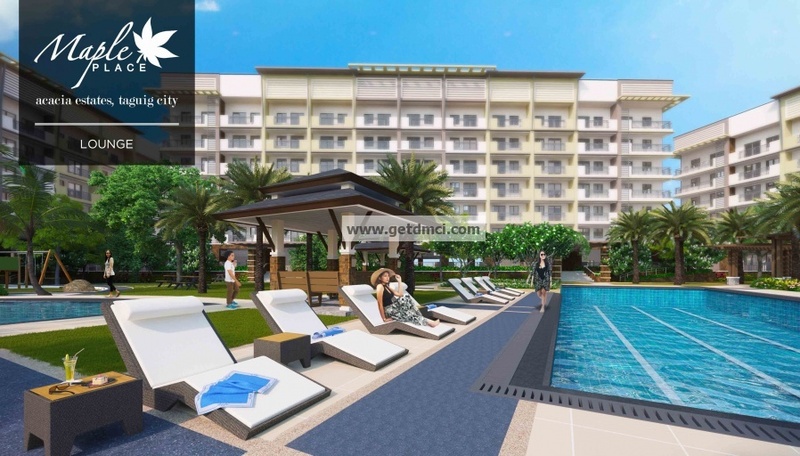 Carrying the proposition of a resort-type lifestyle, home seekers will surely find an ideal haven to come home to with the finest of leisurely features at DMCI Home’s newest condominium. 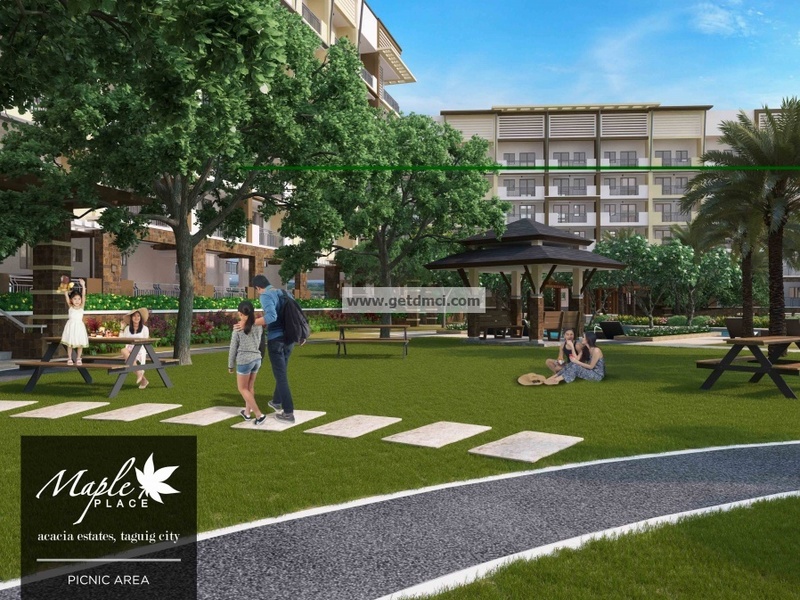 The master-planned condo complex is the trusted developer’s latest offering that answers the call to develop new residential communities at the vibrant community of Acacia Estates. 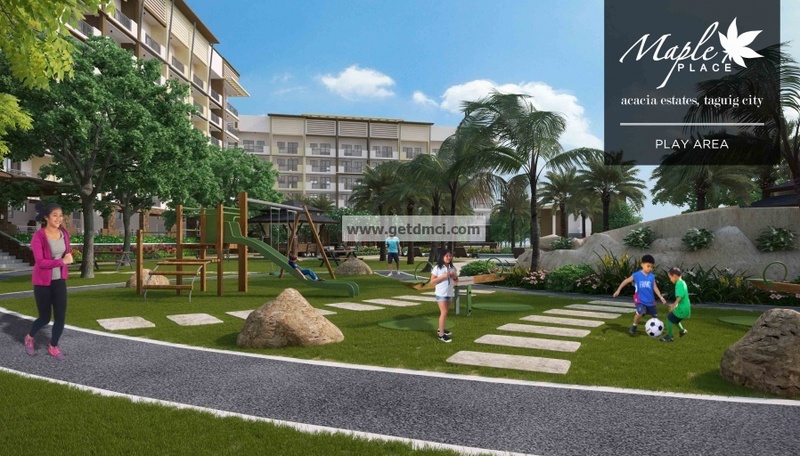 Also built by DMCI Homes, the township is known for being easily sold-out even before construction is completed. 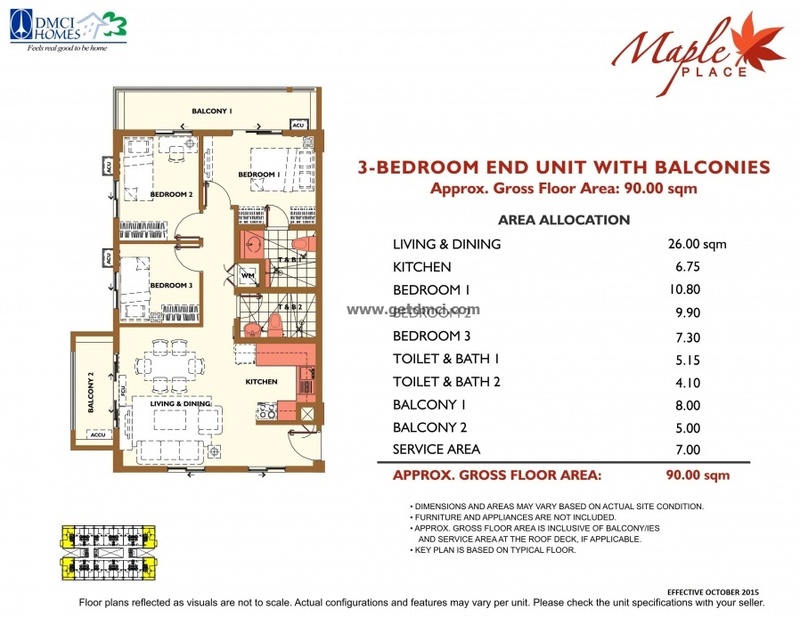 Living up to its neighborhood’s reputation, the Maple Place is sure to create a unique condo experience with its three mid-rise, low-density residential buildings and wide open spaces. The buildings, named Linden, Aspen and Spruce, have more than 300 units of 2- and 3-bedroom unit mix. 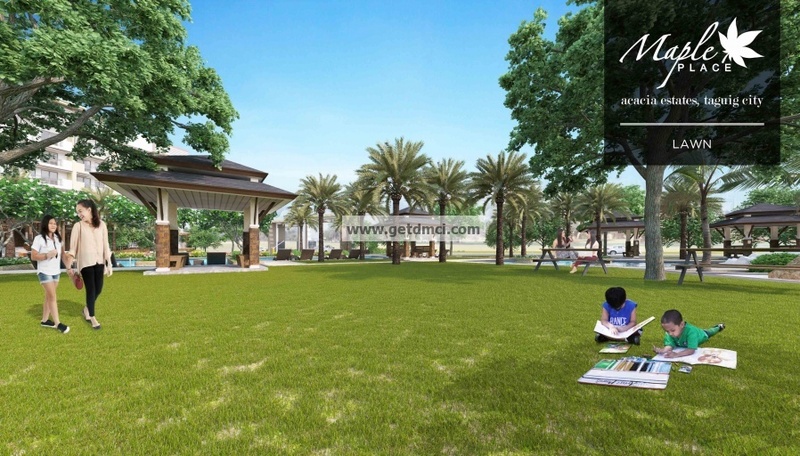 The residential development will bear its developer’s signature building design and quality workmanship. True to this testament are ground floor units that open to a garden atrium in each building and single-loaded corridor configuration that allows plenty of fresh air and natural light to come into the building interior. Each building has a scenic elevator and entrance stairways that feature PWD ramp. Its boutique hotel architecture infuses sleek lines, textures, and earth-tone colors to the buildings to achieve a modern look that is warm and homey at the same time. There are canopies, ledges, and trellises for protection from the elements and for play of depth, light, and shadow at the building exterior. Various tones of brown and natural stone accentuations give the ambiance an overall softness and calmness, and blend them to the lush landscape and open spaces outside. Other building features include single loaded hallways, elevators with a view of the nature-rich surroundings, mail area, and provisions for CCTV cameras, Wi-Fi, and an automatic fire alarm and suppression system. 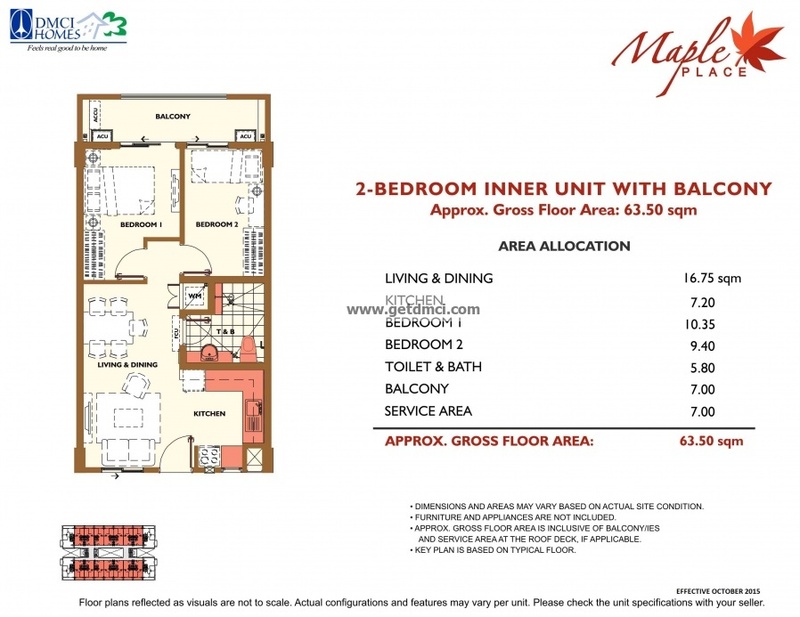 Maple Place offers generously sized units with 2-BR ranging from 56.5 to 64.5 square meters and 3-BR from 83 to 93 square meters. Each unit has service area, balcony and provision for utility meters, telephone and cable TV service. 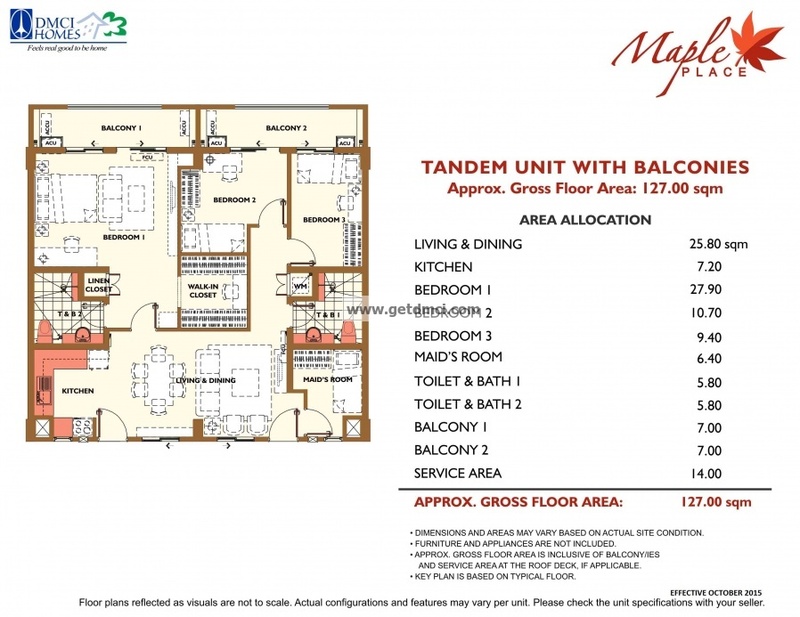 A 3-BR unit has two balconies – one accessible through the master’s bedroom and the other through the living/dining area. In addition, the developer provides 2-year limited warranty coverage for most unit deliverables, except for operable items subject to daily wear and tear. Going outside one’s living spaces, top-notch amenities and facilities make life truly comfortable and convenient for homeowners. Swimming pools for adults and kids, a poolside cabana, playground and garden that can also be a picnic area make up the resort atmosphere. 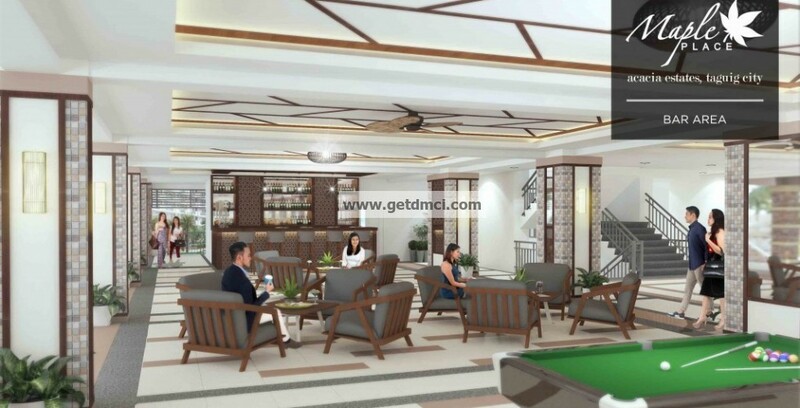 The indoor amenities consist of a lounge area, fitness gym, audio-visual room and game area Future facilities will include convenience store, laundry station, water station and a snack bar to enhance the convenience of the place. Moreover, there is a standby power generator to light up common areas in case of power outage. For maintenance and other needs, a highly efficient and accommodating Property Management Office takes care of the common areas and residents, such as in providing them ready assistance in utility payment and application, as well as for calling in taxi services, among others. Meanwhile, security is assured by the gate, guardhouse, electrified perimeter fence and security guards. Acacia Estates’ location near C-5 Road gives the resort-type condominium’s residents easy access to Bonifacio Global City (BGC) and the Makati Central Business District. Schools, commercial centers and hospitals are 10 to 20 minutes away while the airport is a 20 to 30 minute drive. 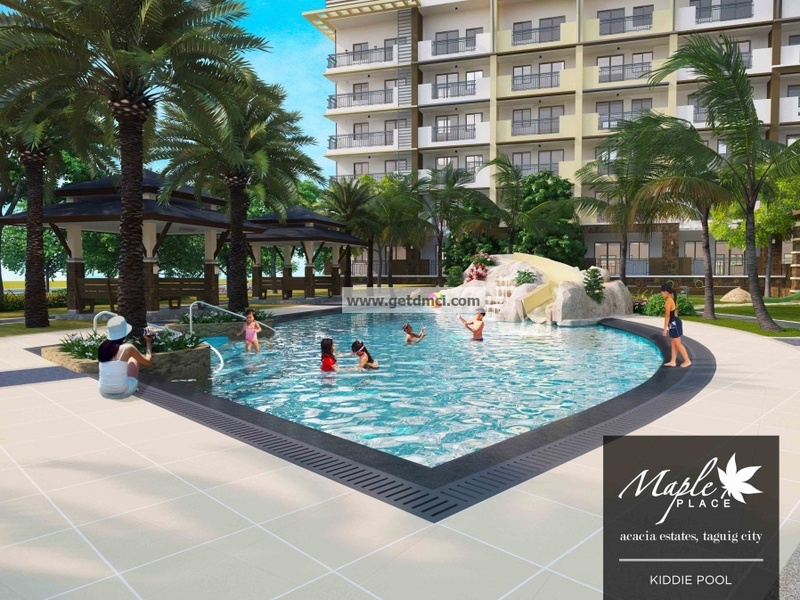 With the reputable DMCI Homes as the developer, units in Maple Place are built to last and guaranteed to be delivered on time. The 15-year-old triple A property developer is backed by D.M. Consunji’s 61-year track record in residential construction. 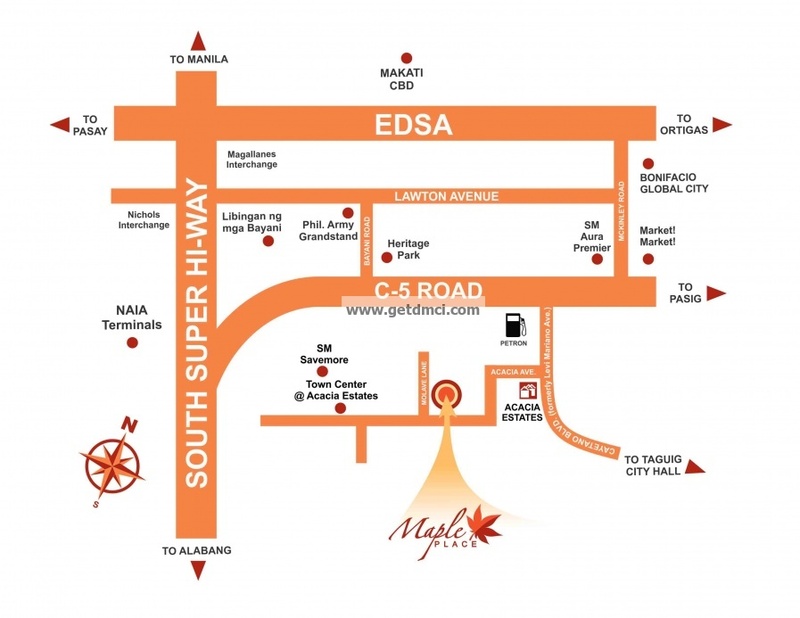 Families and individuals who are willing to pay a bit more to live in a comfortable, secure and scenic condo community near BGC and Makati CBD will find Maple Place the ideal choice. 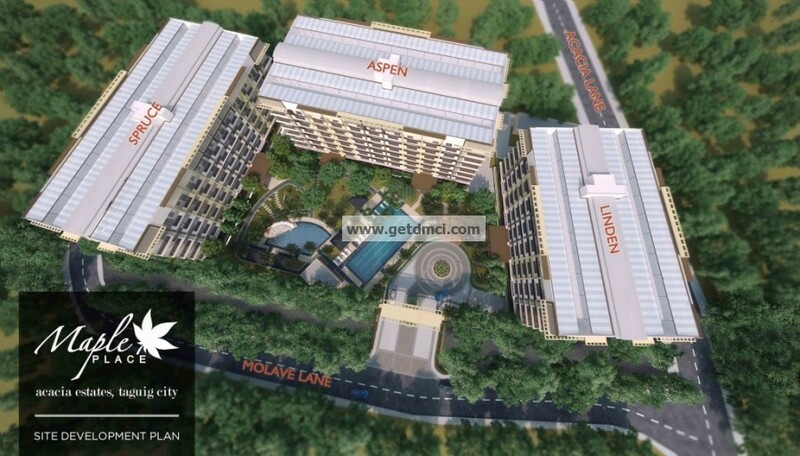 Overseas Filipino workers will see that the residential development is suitable for their families, while property investors can be sure of a unit’s lease and resale potential.